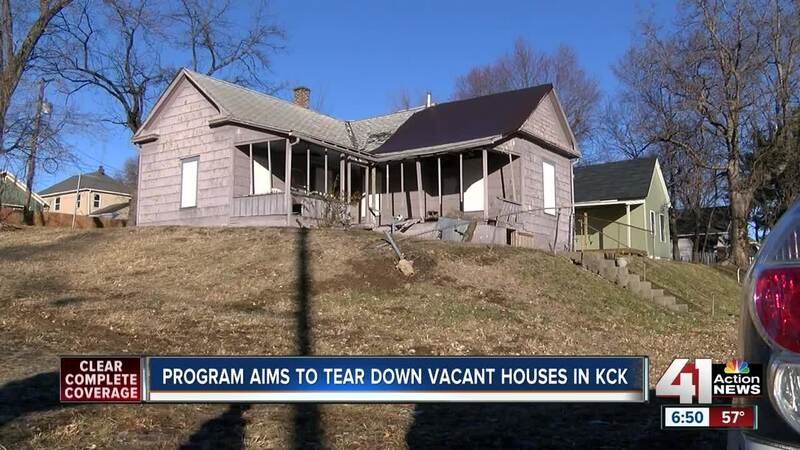 KANSAS CITY, Kan. — One by one, old, vacant houses across Kansas City, Kansas are coming down or getting new life. As 2019 begins, the Unified Government of Wyandotte County and KCK is wrapping up year three of a five-year initiative focused on improving quality of life through housing. Leaders point to successes in 2018 and say their plans in 2019 will help them stay on pace to reach their goal of improving 10,000 properties through the initiative. In 2018, the Stabilization, Occupation or Revitalization (SOAR) program launched an initiative called "Propertunity Knocks." It gives contractors an incentive to buy unfit homes and rehab them into habitable structures. The UG doesn't give contractors the deed to the homes they buy from the bank until contractors make enough renovations to meet code requirements for a habitable structure. "What we've seen in those neighborhoods where a house has been taken from a status of vacant and dilapidated to a nice-looking, new home is the neighbors are doing things because they are invigorated to see the investment in their neighborhood. That makes us really excited because we know what we're doing is working," said Melissa Sieben, assistant county administrator for the Unified Government. Sieben said about 60 properties are in varying stages of the Propertunity Knocks program. Also in 2018, the UG set aside $3 million for demolitions. In that span, crews tore down 77 unfit homes. In 2019, the UG plans to unveil the first-of-its-kind registry of vacant properties. Most databases only include vacant homes that have been foreclosed, or where ownership is back in the hands of banks. By partnering with ProChamps, Sieben said the UG will be the first municipality in the United States to have a registry that includes privately owned vacant homes. "What it does is it gives staff here the opportunity to monitor and watch those properties, but also make sure they're not being a problem for their neighbors," Sieben said. "They're making sure they're mowed, that the houses are secured, and that they're staying in condition that could be re-inhabited in the future."